Our Journey started on January 14, 2013 when our mother, Myriam, was diagnosed with Stage IV Glioblastoma brain cancer, one of the most aggressive forms of brain cancer. From the moment we got her started on our home-made Cannabis Oil, our mom immediately started getting better; MRI’s showed tumor shrinkage, and her blood count test come back with favorable results. So we spread the word. 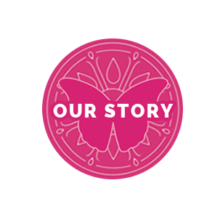 We become involved in social media and sharing our mom’s remarkable story. We were able to connect to other patients with all types of cancer and other ailments. These people were also being told that the only treatment was with costly pharmaceuticals. Many of these early adopters were interested in trying Cannabis Oil for themselves. So in 2013, when Cannabis oil was not readily available, we decided to establish Myriam’s Hope as an official business. Since then we have grown and developed a loyal following. We strive to produce and deliver products that are pure and to ship it efficiently to the customer in the soonest time frame possible. We hope you enjoy and can find some relief with our custom-made Cannabis Oil products.